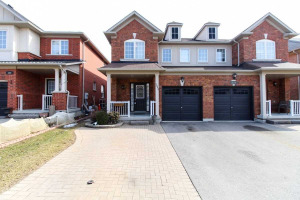 Immaculate Semi-Detached Home, Shows Pride Of Ownership! Premium Pie Shaped Lot In Prime Thornhill Woods. With 9Ft Ceilings On Main Floor, Large Custom Kitchen And Eat In Area, Quartz Counter Tops. Modern Stainless Steel Appliances, Large Windows, Hardwood Floors Throughout, Open Concept Family Room W/Fireplace. Extended Interlocking Driveway For Extra Parking Spot. Professionally Finished Basement For In-Law/Nanny's Suite.